The Head of Water Ski works cooperatively as a member of the HOC Senior Staff team and as the leading water ski instructor within the Water Ski Staff Team. He/she is responsible for both instructing daily classes as well as planning and facilitating all program activities and schedules within his/her staff team. The Head of Water Ski will also be responsible for assisting the Program Director with the overall management of camp activities/activity staff, within his/her staff team. 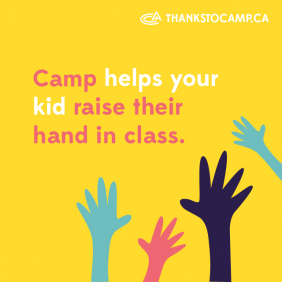 This includes oral & written staff evaluations and assisting the Program Director with camper evaluations. The Head of Water Ski is also responsible for the overall identification and management of risk within the water ski program. Assist the Program Director, when needed. Complete work brigades Sunday morning, before camper check-ins. Attend & facilitate the May Planning Weekend for the water ski staff team. Create weekly schedules for the water ski staff team. Assist in a leadership role in all required camp special events or specific duties as they are scheduled or assigned. Teach 4-6 one hour classes daily within the designated activity, or as required. Provide mentorship and supervision to instructors within the water ski program and ensure that they are meeting HOC's programming and safety standards. Daily supervision throughout camp of quality programming and safety standards. Supervision and facilitation of Sunday Evening Ski Demos. Supervision and delegation of daily program development time, ensuring program area is presentable and clean. Attend and assist the Head of Waterfront with scheduled Emergency Response Team training practices for water ski staff. Be available to assist Camp Directors as required or when instructional schedule allows. Assist the Program Director in providing three formal staff evaluations; after weeks 2, 4 and 6. Complete a Program report and update program manual at the end of the summer. Complete weekly Sr Staff duties as scheduled (Office shift, Coaches Corner, nightly rounds etc. ), approximately 2-4 duties per week depending as required. The Head of Water Ski can expect between 8-10 hrs of scheduled duties daily not including other duties as assigned based on program needs. All Program staff are required to attend May program development weekend. Heads are allowed one weekend off. This is scheduled with the Camp Director at the beginning of the summer. To ensure that we are able to schedule Duty Weekends around Saturday Evening Supervision responsibilities, Heads need to be flexible around their personal schedule. Weekly time off will be scheduled each week that may include mornings, afternoons, or additional weekends free of assigned duties. Administrative background with experience in supervising peers. Interest & experience in water skiing/wake sports.